There's not much information out there for this one. Firescald Branch Falls is a series of cascades found in the Frog Level area of Dennis Cove in Carter County, TN. While it's a long drive to get there, the good news is that it's not much of a hike. However, you will encounter thick rhododendrons on the trail, which will make climbing up the falls a challenge (and a workout). But it's worth the effort. I see from the photos linked below that I stopped short of the third tier of waterfalls here, so I'll have to go back out. I went as far as I thought the trail went, but it appears there's one more cascade beyond what I saw. Check out Wendell Dingus' nice images of these cascades. GPS info here. Directions: Drive up Dennis Cove Road to Frog Level. I have detailed directions and a map here. Once at the parking area for Frog Level, look to the left and you'll see a trail closely following the stream into the rhododendrons. 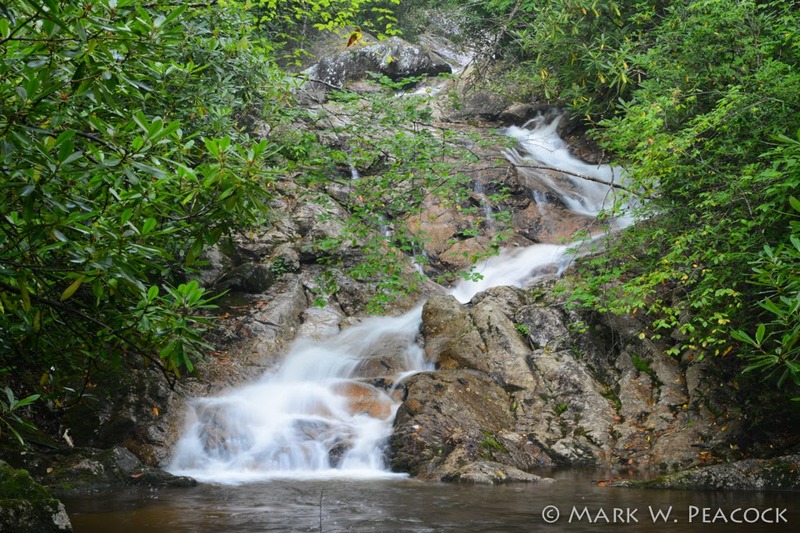 It is probably no more than 100 feet up the trail that you'll see the first cascade. Continue on, pushing through the rhododendron thickets, and you'll discover more beautiful scenes. 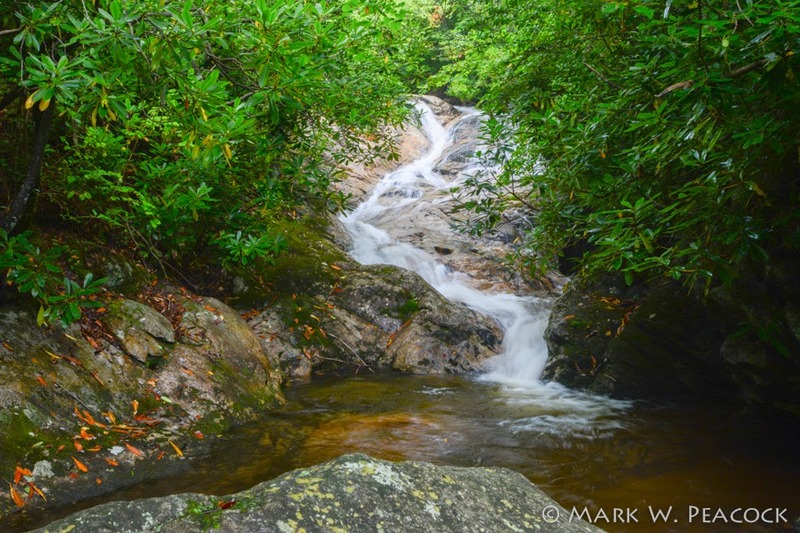 This is a fairly small stream, so you'll want to visit after a good rain.